They've got wide ripples, which seems to enhance the cheese flavor. 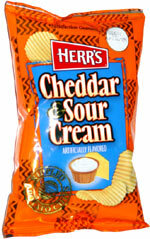 You really can taste both the cheddar and the sour cream. They're quite delicious. Smell test: There's a nice cheddary smell to these. 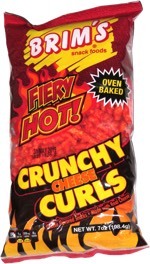 This snack was discovered by Jeremy at White Hen Pantry, Porter Square, Cambridge, Massachusetts.